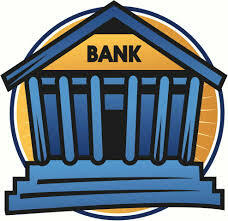 The word “Bank” is said to be derived from the Italian word “banco” i.e. bench. The early bankers, the Jews in Lombardy, transacted their business at benches in the market place. When a banker failed, his banco used to be broken up by the people. From such circumstance, the word “bankrupt” originated. There are others, who are of the opinion that the word “bank” is originally derived from the German word “back”, meaning a joint stock fund, which was, when most of the Italy was under German occupation, Italianized into “banco”. This appears to be more reasonable. Whoever, being an individual, firm, company or corporation, generally deals in the business of money and credit is called a bank. In our country, any institution which accepts, from the public, repayable on demand or otherwise, and withdraw able by cheque, draft, order or otherwise, is called a bank. A narrower and more common definition of a bank is a financial intermediary that accepts, transfers, and, most important, creates deposits. This includes such depository institutions as central banks, commercial banks, savings and loan associations, and mutual savings banks.